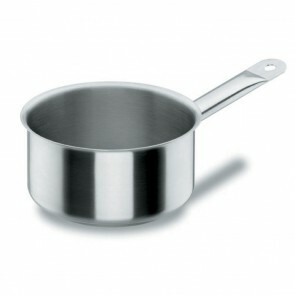 The pan is a flat-bottomed kitchen utensil with a handle that is sometimes called "tail". It is usually made either of stainless steel, aluminum or even copper. 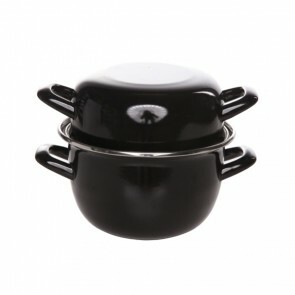 • Among the different pan types to choose from there is the traditional pan with lid, the induction pan used on the induction cooktop, the all hobs pan pan which can be used for all heat sources including induction, the deep pan or the anti-adhesive coating pan which makes cooking a lot easier! 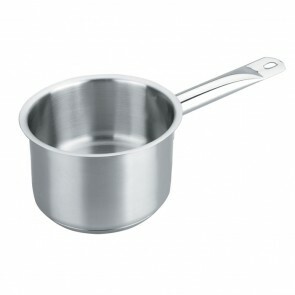 • Formerly equipped with a non-removable handle, pans are now also available with removable handles for easy storage! 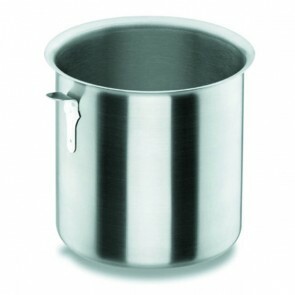 Also equipped with a spout at times, the pan is usually entirely made of stainless steel to ensure its durability or copper for better cooking quality due to its heat-conducting property which ensures a homogeneous cooking. 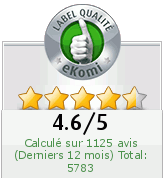 However, special care must be taken during maintenance to avoid wear and tear (i.e. copper has been coated with tin to allow direct food contact with copper). • Some pans, like those of the Pradel brand, also have a ‘sandwich’ shape memory aluminum diffuser base which contributes to a homogenous cooking! 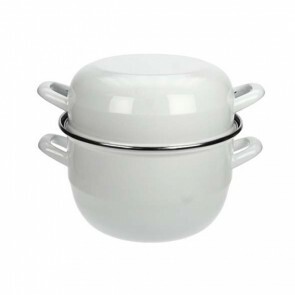 • Traditional pans (major brands are namely Pierre Schumann or Kaiser brand) are generally used for the preparation of liquid-based dishes or sauces. 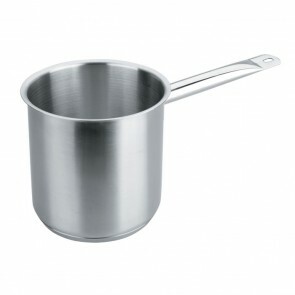 However, it can also be useful for preparing rice (instead of a rice cooker), pasta or even meat. 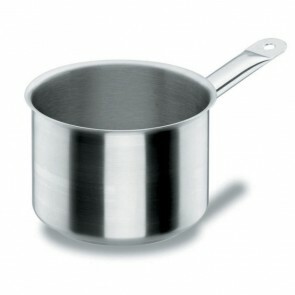 The major brands to remember when it comes to pans are: Pyrex, Tefal, Laguiole to name a few. Threat yourself to a whole new set of pans or even a whole cookware at an affordable price! AZ Boutique features a comprehensive range of professional quality pans (small or large pans) for all heat sources (oven or gas hob, electric hob, ceramic hob or induction hob). 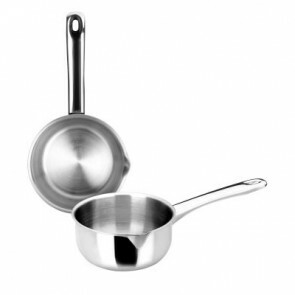 This category namely features stainless steel pans, ceramic black pans, cast iron pans or induction pans. 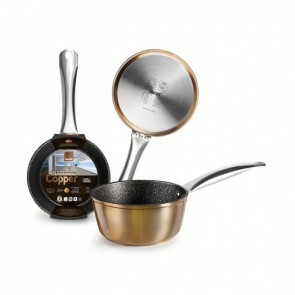 You can also browse among our whole cookware selection. Copper Casserole 14cm / 5.5"
Copper Casserole 16cm / 6"